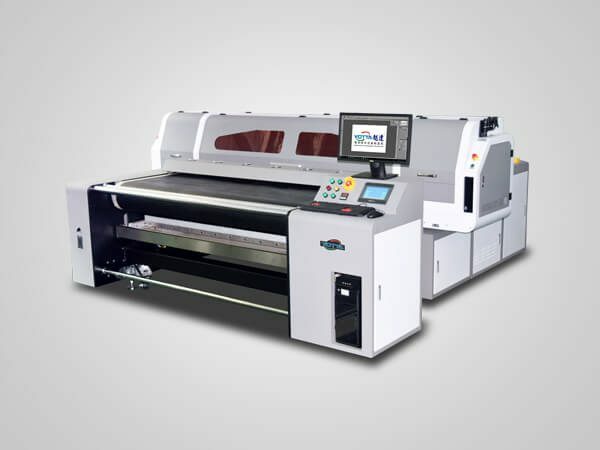 Equipped with 2-8pcs Kyocera KJ4A inkjet printheads, YOTTA YD-H5000KJ hybrid uv printer delivers high speed large format printing on rigid and flexible materials. It has a super large print width of 5.0M. 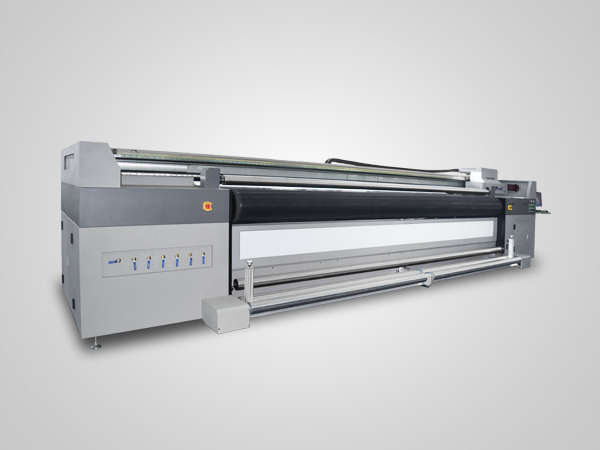 Plus flatbed printing and roll to roll printing function, it shows greater flexibility in the type and size of materials. With high print speed, it can greatly increase production efficiency. Rigid materials: glass, metal, wood, plastic sheet, acrylic, KT, PVC, etc. Flexible materials: vinyl, canvas, PVC film, paper, cloth, etc. With YOTTA YD-H5000KJ hybrid printer, more printing tasks can be done in less time, thus shortening delivery time. It fully meets the requirement of mass production. What’s more, with such a big print width, you can print several rolls of flexible materials at the same time. 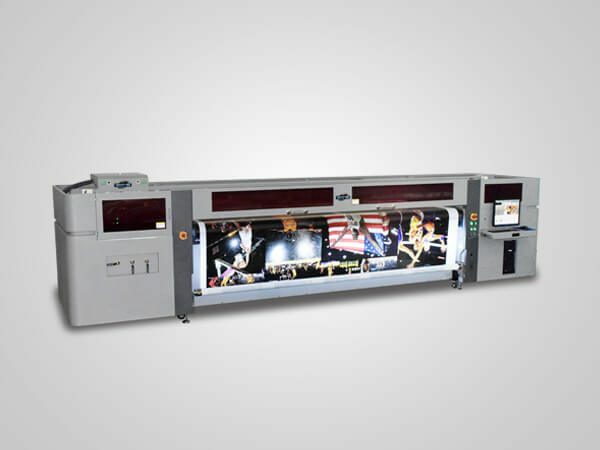 YD-H5000KJ flatbed and roll to roll printer delivers 635×2400dpi high print resolution. The images printed out is delicate, natural and colorful. With the capability of printing CMYK, Lc, Lm,white ink, attractive 3D and embossed effect can be achieved, meets the needs of promotion and advertising. Integrated tempered stainless steel frame, which is more strong and stable, no easy to deform. Strong oxidation treated print platform. High-precision linear guide rail, lead screw, metal scale, IGUS towline which is more wear-resistant. Constant tension control system designed for flexible material printing. Negative pressure system to ensure more smooth ink supply. Automatic rectify deviation system to ensure precise printing. 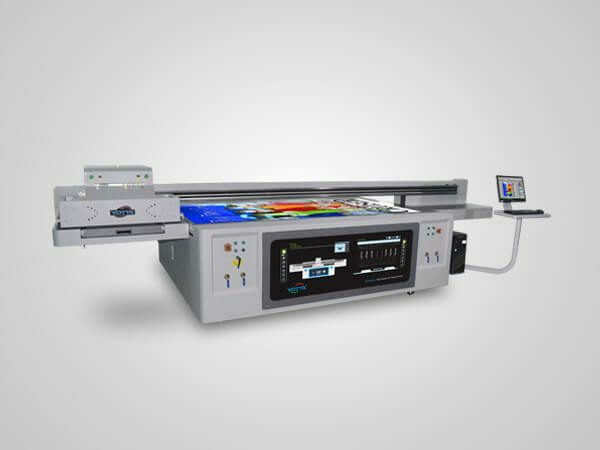 UV-LED ink curing system, efficient and energy-saving. With stable and strong parts and reasonable structure design, it has a long service life and it can be more than ten years. YOTTA YD-H5000KJ hybrid uv printer use original eco-friendly UV curing ink which is no VOC and less impact on the environment. Employing UV-LED lamp which is no mercury and other harmful substances, also energy-saving. The YD-H5000KJ is featured with many user-friendly functions, which make it easy-to-use, time-saving and labor-saving. Anti-collision device to stop the cartridge form damage when colliding with obstacle. Automatic materials thickness measurement function.